Utilize our free transportation management system RFP template to find the TMS that is right for you. Looking for a modern TMS to improve scalability? Or simply curious about how logistics technology has evolved and could improve your company's margins and workflows? This comprehensive TMS RFP template for parcel and LTL (less-than-truckload) will help you think through and document your requirements. 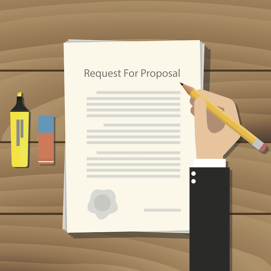 Download the free TMS RFP template below.